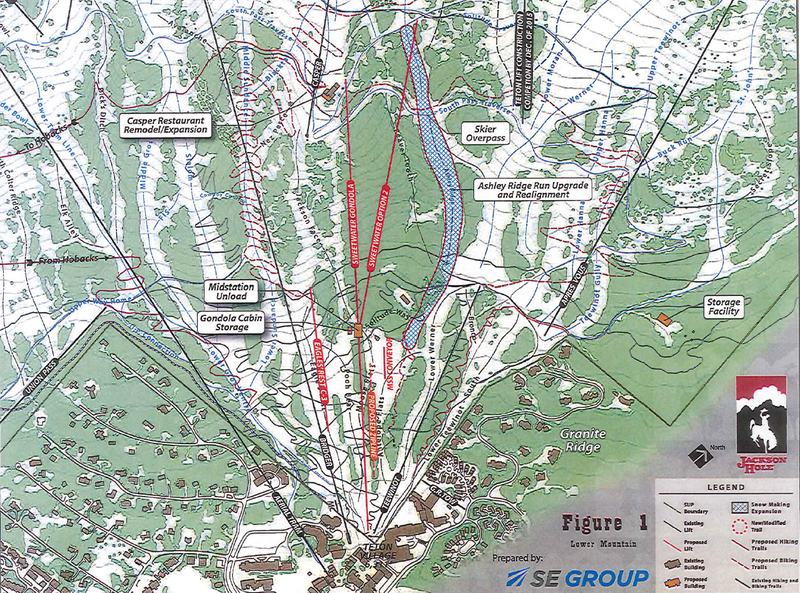 The Bridger-Teton National Forest approved construction of a new Eagle’s Rest chairlift along with two possible alignments for Sweetwater in 2015. 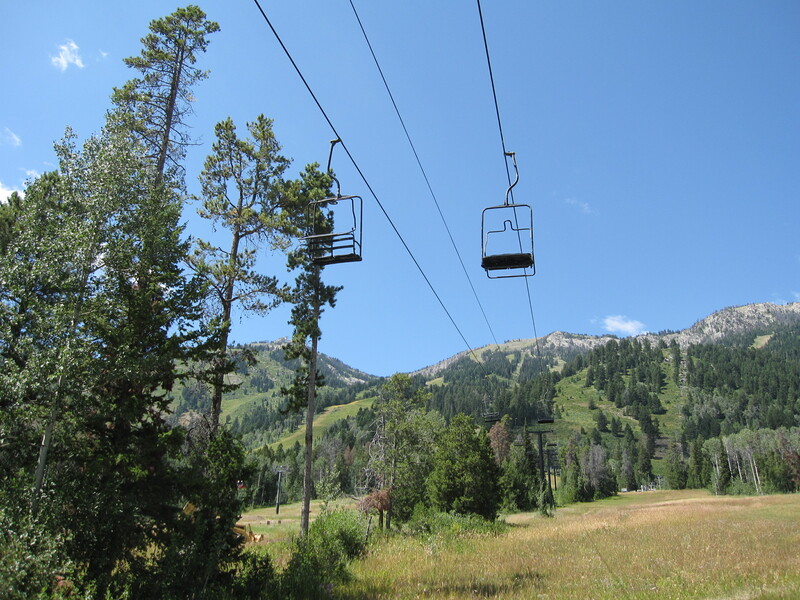 The list of firms which have supplied ski lifts to Jackson Hole Mountain Resort is impressive: Hall, Willamette, Murray-Latta, Mueller, Riblet, Heron, Doppelmayr, Garaventa CTEC, Lift Engineering, Poma, Doppelmayr CTEC, Garaventa and Leitner-Poma. This fall, Skytrac Lifts will join the club as it builds a new version of one of Jackson Hole’s inaugural chairlifts from 1965. The new Eagle’s Rest quad will follow a revised alignment from the original, which was removed to make way for the three station Sweetwater Gondola in 2016. Running across six towers between the Sweetwater and Bridger gondolas, the new top station will be located near the bottom of Sundance Gully. Beginner skiers and snowboarders will also be able to reach the lift from the new Solitude Station learning center. The new lift will travel just south and uphill of the old one, which was retired in 2016. Eagle’s Rest will become the third new lift in five years for Jackson Hole, which just concluded its busiest season ever with more than 715,000 skier visits. The Ikon Pass partner mountain will also add 14 new cabins to Sweetwater, increasing capacity between the base area, Solitude Station and Casper Restaurant by nearly 30 percent. The new cabins will match the 48 Omega IV 8 LWI models currently in service. Both the Skytrac quad chair and CWA cabins will be ready for guests this November. This is good news. I can imagine that this is a result of the beginner situation for the mid-station of Sweetwater being a problem. This lift has been planned for as long as the gondola has. So why is the new eagles rest lift running in a different alignment? Sweetwater has proven to be a lift of many uses and the mid-station is a big reason why. Bridger did not go to final capacity for nine years and Sweetwater is going there after only three. Awesome news!! Glad to see an old name resurrected! Eagle’s Rest never left the lift status boards; technically it was just temporarily closed! So the old lift was never removed? The lift was, yes. Apparently they forgot to remove the name from the lift status board though. Or just knew it wasn’t worth removing it for a few years.